Another Eden is a free-to-play mobile RPG with a time-travel setting done in the traditional JRPG style and is written by Masato Kato, best known for writing the Chrono series for Square. 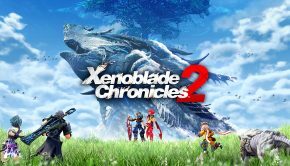 Featuring a main theme by Yasunori Mitsuda and composed primarily by Procyon Studio staff Shunsuke Tsuchiya (Luminous Arc, Stella Glow) and Mariam Abounnasr, with her first major composition debut for a video game, at least to my knowledge, how does the overall soundtrack turn out? 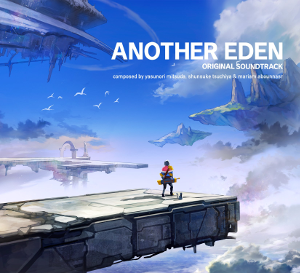 The album opens up with the main theme, “Another Eden,” composed by Yasunori Mitsuda. Mitsuda’s Celtic/world influenced music is on display featuring a beautiful blend of strings and woodwinds with slight musical callbacks to both Chrono Trigger and Chrono Cross. The melody itself has an excellent progression with an exquisite violin lead in the bridge and closing off with an addition of electric guitar. The end result is a solid theme that helps to set the tone for the rest of the album. Mitsuda’s other contributions are few on the soundtrack and range from a poignant reflective piano piece, “The Unforgettable Light,” co-composed by Mariam Abounnasr, to an engaging and adventurous rendition of the main theme, “To the Sky of Time,” full of airy woodwinds and an orchestral focus, giving off a sense of flight. In addition, there is a music box theme, “One Light Source,” that also utilizes the main theme and the “Epilogue,” which gives off a celebratory vibe with its brass and woodwind focus and light marching percussion. Another tone setting piece is Shunsuke Tsuchiya’s “Title,” a softer tune focusing on harps and strings to give off a very mysterious air throughout its beautiful melody. 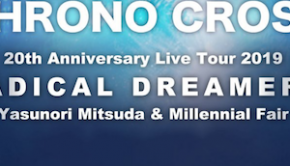 Once past the first two themes, it is very clear that the composers kept Chrono Trigger and Chrono Cross as an influence on some aspects of the soundtrack. 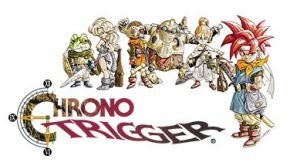 “One Morning” brings to mind “Peaceful Days” from Chrono Trigger with its intro and progression, while still retaining its own identity with its beautiful woodwind, strings, and harp driven melodies. One of the best town themes on the soundtrack, “Baruoki,” composed by Mariam Abounnasr, is a stunning tune with clear Irish jig influences, an excellent violin driven melody with a jovial and bright sound that screams Chrono Cross. Also bearing a Chrono Cross influenced sound is “Earth and the Wind” with its bagpipes, ethereal synths, bass guitar, percussion, and acoustic guitar sound to create a beautiful and warm atmosphere with a wonderfully nostalgic air of Mitsuda’s past soundtracks. Of course, despite the clear influences from Mitsuda’s past works, there are plenty of examples where this is not the case, but the biggest shift is definitely in the battle themes. Primarily composed by Shunsuke Tsuchiya, they offer a distinct contrast to the softer sounds found on the album, while still retaining some of the instrumentation present throughout the album. “Chaotic Recognizer” is a violin forward battle tune with an exhilarating sound, an excellent melody that fans of classic Falcom/Tales soundtracks will fight pleasing. This style is largely present in many of the battle themes, although each offers its own differences. “Ambivalent Mirage” is more synth rock driven, although it does feature a strikingly beautiful violin line, that helps to counter and complement the pure energy exuded from the synthesizer aspects of the piece. “Perpetual Stranger” shines with its woodwind and strings driven melody against drum pad and light rock elements while sounding like a mix between Falcom and Gust based soundtracks with a tinge of modern Etrian Odyssey in the strings. Of course, this trend continues with “Dream Weaver” and “Brilliant Streamer,” both also offering a violin focused rock battle theme with great melodies. “Decent Destructors,” while offering all of the aforementioned elements, is certainly more rock focused with its e. guitar line that dominates the first half of the piece, only adding violin towards the end of the loop, helping to flesh out its excellent melody. One of the softer sounds comes from Mariam Abounnasr’s, “Paradoxical Dreamers.” This isn’t to say that a similar violin rock emphasis isn’t there, but the subdued nature of the rock elements, compared to Tsuchiya’s contributions, help contrast with the edgier sounds of the battle scenes. The violin focused melody is beautiful and still manages to provide a motivating factor to the piece. “Geo Anguirus” certainly sounds like a battle theme with its dramatic strings and choir focused progression. There is a lot of tension heard within the piece and there are aspects that give off a regal and haunting sound while “Those Who Inherit the Stars” also has a battle-esque sound incorporating a piano/percussion focused tune with exotic instrumentation into the melody, giving it a worldly and tense soundscape. Back to rock is “To Release the Paradise,” with its e. guitar and piano combination that provides an otherworldly sound with its progression backed by a fantastic melody towards the end of the piece that gives off an edgier sound. Lastly, “True Eden” incorporates light electronic elements, vocaloid, and march percussion to create a heroic sound with a beautiful melody and ethereal atmosphere. There are also plenty of other town themes aside from the aforementioned “Baruoki.” “Ratle” features a rustic sound with acoustic guitar and woodwinds, giving off a very Chrono Cross inspired sound with a bit of Celtic flair while “Acteul” features a romantic sound with its plucked strings, acoustic guitar, and its sweeping strings, helping to give a warm tone to the overall piece. “Palsifal Palace” features a Middle Eastern influence with its exotic tones and gives off a mystic sound with its melody while “Elzion” features sweeping orchestral strings and dramatic buildups to create a magical sound while its blend of piano helps give it a revered tone. Similarly, “The Royal City of Unigan” also features a beautiful strings melody combined with an uplifting martial sound to create a very regal atmosphere. Lastly, both”Laula Dome” and “The Floating City” both employ gratuitous use of the piano to create a romantic sound for the former with a warm sound for the latter, especially with its acoustic guitar addition. 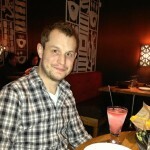 There are also a variety of seeming event based themes with various styles. “The Order of Claw and Fang” is a militaristic tune with an ominous tune, but suffers from a somewhat cliched “villainous” sound, but does feature a nice brass led melody. “Run!” is a frenetic tune that features a nice musical progression, but falls a bit flat overall, but, as with the previous tune, does feature a nice brass melody. Another militaristic tune is “Storm into the Swirl,” that definitely has footprints of Abounnasr’s work on Valkyria: Azure Revolution, with a melody similar to “Vanargand,” that is uplifting and bright. “Untuned Dancers” is a bit of a departure from much of the album with its bubbly synth driven melody, but its layers of synth help craft a beautiful soundscape. “Curtain of Darkness” features harp, piano, and monk-like chanting that creatures a very exotic and mysterious atmosphere while “Cycle of Prays” also has a bit of exoticism to it, similar to the style found in “Palsifal Palace.” Another beautiful tune is “Fleeting Wish” with its beautiful and poignant strings/harp driven tune that portrays the “Title” theme in a fuller sound. Lastly, “Toki-no-Wasuremono-Tei” is a beautiful acoustic guitar piece with a relaxing and calming air with an excellent melody. Of course, what RPG is complete without area themes. “Seashell at the Lost Sea” blends light electronica, beautiful Celtic sounds, and a touch of a Japanese soundscape to create a magical and mystical soundscape with a wonderful melody that really manages to shine on the album. “Babel” is a moody orchestral tune with an ominous and tense sound, moments of “revelation,” and relies more on atmosphere to establish its sound as opposed to the melody. “Xeno-Domain” is an interesting tune with its futuristic, bassy, and drumpad infused rhythms. It’s a creepy, peculiar, and strange tune, but extremely pleasing atmospherically. “Corridor of Time Layer” is a wonderful tune with an air of heroism with its progression and melody and choral tinged accompaniment. “The Dimension Ship” is more tense with its percussion focused approach while also providing a dramatic orchestral backdrop. On the flip side is “Stone Slumbers” with its rustic woodwind and acoustic guitar sounds that help boost a wonderful melody. “The Castle of Magical Beasts” is a vocal/choral driven tune with organ that provides a reverent tone and plenty of atmosphere. Lastly, “Chronos’ Umbra” boasts a fantastic melody, haunting piano and synths, ethereal choir, and heroic orchestral tones that really manages to stand out. For a mobile soundtrack, the Another Eden Original Soundtrack will certainly scratch an itch for nostalgia. 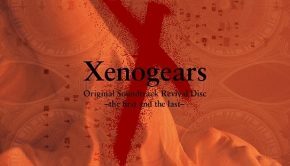 Given it is a game about time and space, there are plenty of tunes that harken back to Kato’s other games revolving around those concepts (Chrono Trigger, Chrono Cross), yet both Shunsuke Tsuchiya are able to infuse their own styles into the pieces. The battle themes, which have a very Falcom inspired sound on the whole, provide exhilarating experiences while the town and area themes offer a range of styles that capture the quintessential sounds of a traditional RPG. There is a lot to enjoy on the album, but at the same time, at times, it can drift a bit towards a more generic or cliched sound. It’s currently available in the West in digital format at Amazon and iTunes. Posted on November 9, 2017 by Don Kotowski. Last modified on November 9, 2017.